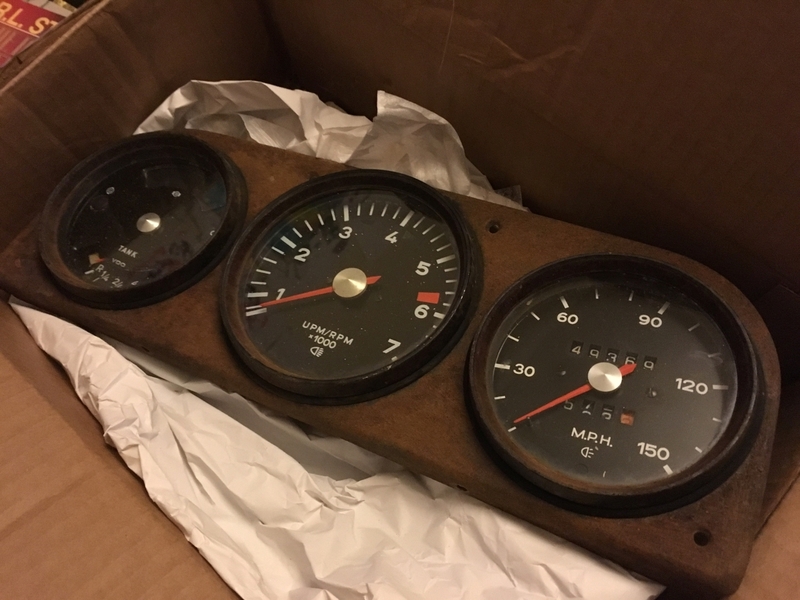 I found a cheap set of early 914 gauges on Ebay that were simply too cheap to pass up. 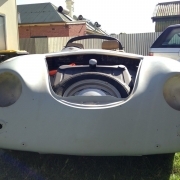 The plan is to give them a bit of an overhaul and update the faces to match the original 356 style. The tacho on the 914 is slightly larger than the other gauges whereas on the 356 they are all the same size. Having seen 914 gauges fitted to other 356's it doesn't really notice too much. 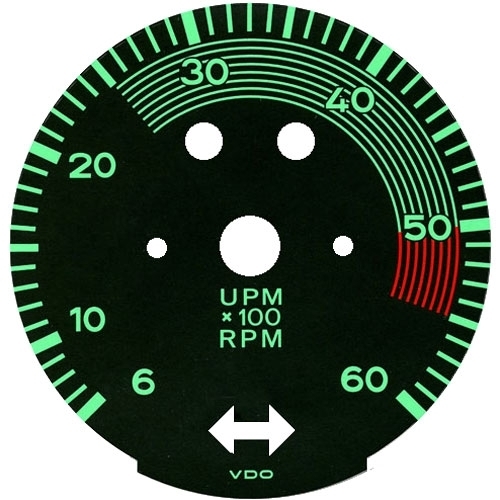 North Hollywood Speedos can convert these to look like 356 gauges but at some around AU$1k it would be cheaper to buy some reproduction gauges. 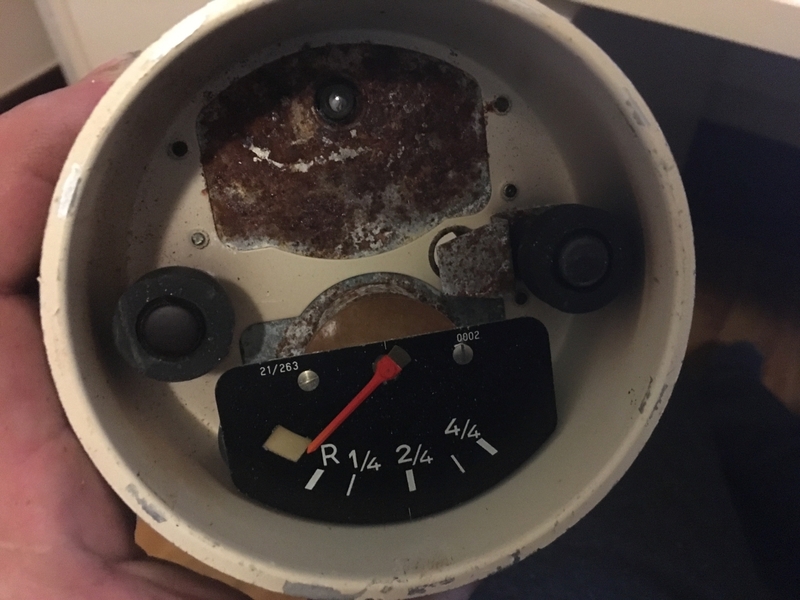 The thing that has really turned me off of getting repro gauges is that the trip meter and odometer is a nastly little LCD screen. Yuk. 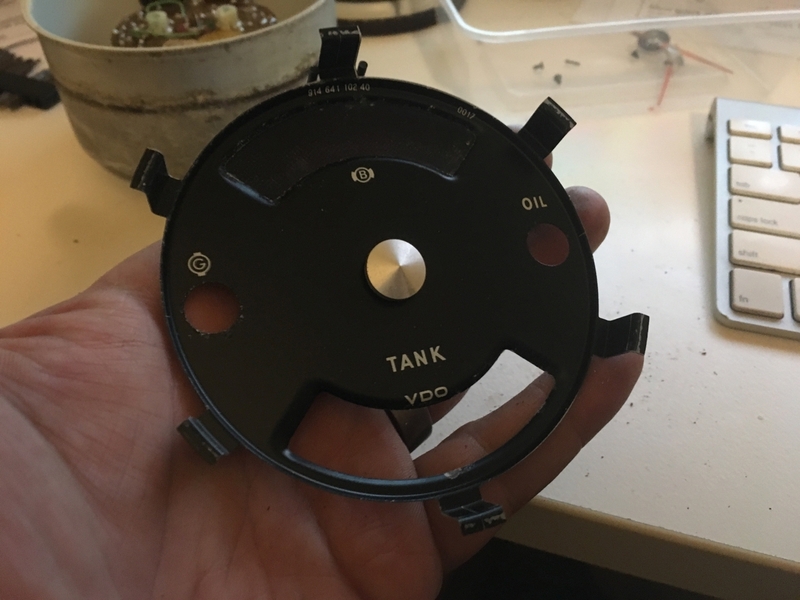 So the plan is to make the centre chrome bezels, draft up some faces and print them onto water slide transfer paper so that I can put them on the repainted gauge fronts. I've already got stuck in to dismantling them and scanning their faces in. Next up is to do some creative stuff in Gimp. The only other thing that I need to sort out is the top space in the dual gauge pod is taken up by the handbrake warning light. 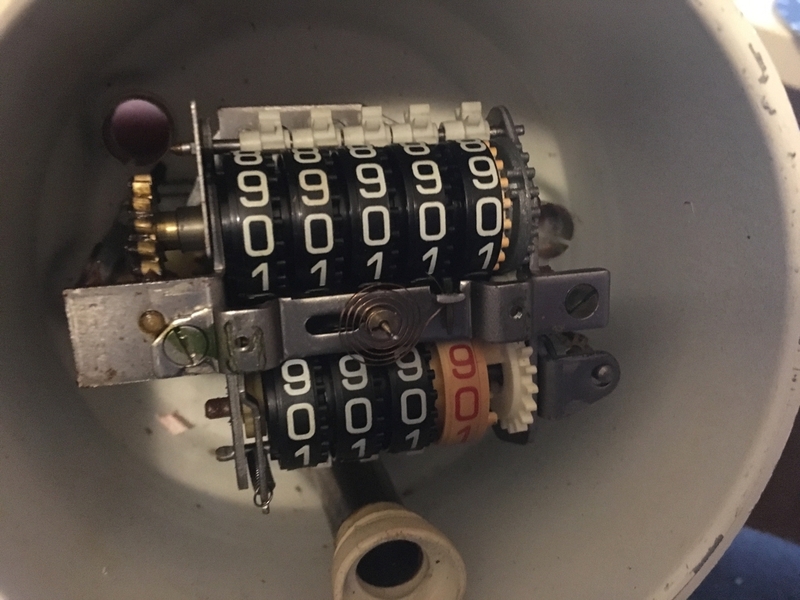 I want to replace this with a temperature gauge but unfortunately finding one that doesn't cost the earth is not such an easy task.